Home › Learn › Articles › Is adaptation to climate change gender neutral? This paper looks at gendered aspects of both vulnerability to climate change as well as gendered aspects of adaptation in Mali. Gendered aspects of vulnerability include inequalities in market access, land ownership and use rights, access to financial inputs and inequalities in decision making power in farming and household spending. Rather than paint a one-sided picture of women as vulnerable however, the authors do well in illustrating the potentially unique and lucrative role women can and will likely play in adaptation. The growing risk of vulnerability to climate change is widely discussed in the scientific and political sphere. More evidence from local case studies emerges that document this risk. Vulnerability to climate change and variability appears most likely to negatively affect poor people, particularly women. Tendencies to widen existing inequalities have been observed. 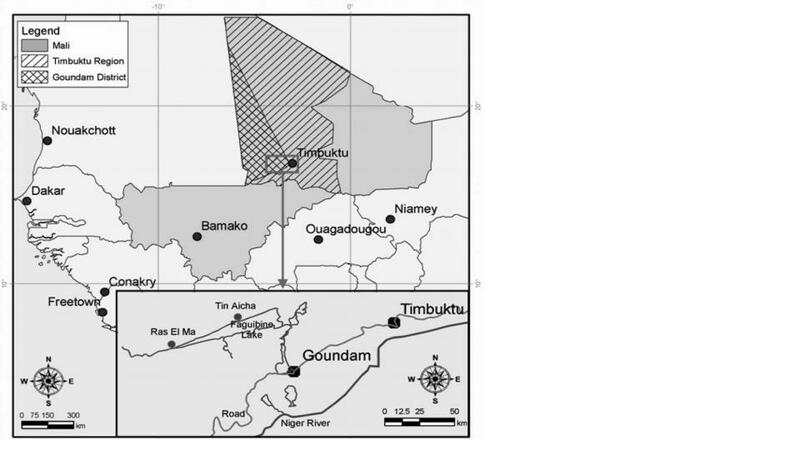 In the Lake Faguibine area in Northern Mali the social, political and ecological conditions have drastically changed in the last three decades. We conducted 6 single gender participatory workshops using PRA in two communities. The workshops assessed vulnerability and adaptive strategies to climate variability and change for livestock and forest based livelihoods. Our results show divergences in the adaptive strategies of men and women. Migration represented one of the most important strategies for men. Women perceived this strategy more as a cause of vulnerability than an adaptive strategy. Traditionally male activities have been added to the workload of women (e.g. small ruminant herding). The historical axes show that development projects targeting women have not integrated climate change and variability into their planning. Most activities have been built around small scale agriculture. With the drying out of Lake Faguibine, those water dependent activities are no longer relevant. Women have developed their own adaptive strategies based on newly emerged forest resources in the former lake area (e.g. charcoal production). However, women are hindered from realizing the potential of these new activities. This is due to loss of person power in the household, unclear access to natural resources, lack of knowledge and financial resources. Lack of power to influence decision at the household and community levels as well as limited market opportunities for women are additional factors. Even though women’s vulnerability is increasing in the short term, over the long term the emerging changes in women`s roles could lead to positive impacts. These impacts could be both societal (division of labor and power, new social spaces), and economic (market access, livestock wealth). Locally specific gender sensitive analysis of vulnerability is needed to understand dynamics and interaction of divergent adaptive strategies. Societal and political change at broader scales is needed to realize potential benefits for women in the long term.